with dinosaur figurines, and wearing my tennis shoes out until my toes peeked through the holes. When I started to become older though, I realized a change in myself, an insecurity-- I was ugly. I wasn't like the pretty girls I went to school with who wore dresses and curled their hair. I was a larger girl with unruly hair (still true), ill fitting mom jeans, a pair of round glasses and not a lady like ounce in my body. I became really self aware and really insecure about my appearance. I wanted to be beautiful, to dress up in pretty clothing and be like the girls I admired. My school was fairly small though and incredibly judgmental, so I was sickeningly afraid of being ridiculed for changing myself. Or, if I failed they would tear me apart. So I went on longing to be this girl I had in my heart until the summer before my eighth grade school year. I just decided, enough was enough. I want to get into fashion. 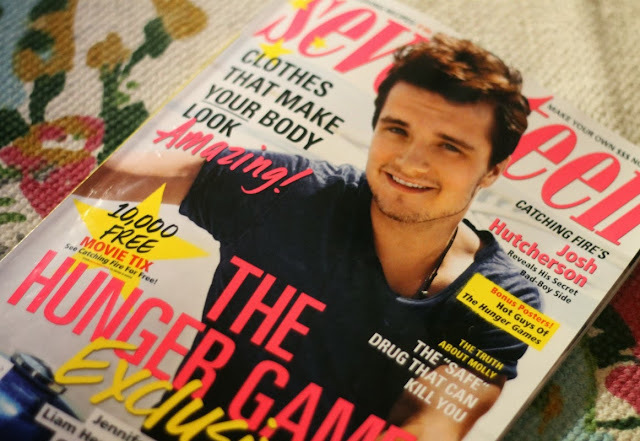 My grandmother took me to a garage sale one day that summer and I picked up a copy of Seventeen Magazine. She bought it for me for .50 and I remember reading it until the pages fell apart that entire summer. It was my bible. The way to success. I listened to every hair and makeup advice they told me and went out and bought every trend that they told me was 'in.' I didn't know what I was doing without this magazine, I hadn't a clue about fashion. It taught me everything I knew to get my foot in the door and eventually develop my own personal style and my own mantra of beauty. After my transformation that summer, I knew that someday I wanted to be in the magazine that changed my life. This past spring I was contacted by a magazine asking if they could use one of my photos for a publication. I had never been so excited and I remember talking to my mom about it for hours. I submitted my photo and couldn't wait until the issue came out, waiting impatiently. When the time came to pick it up at the grocery store, I flipped to the page where the article was supposed to be... And I wasn't there. I flipped and flipped and flipped through the entire issue and they had decided not to use my photo without telling me. I was so embarrassed. Angry. Devastated. A chance like being in a national magazine would never come up again, but I just knew in my heart that if it wasn't in God's plan for me, it wasn't in his plan. A few months later in June I lazily woke up to my phone 'binging' with an email alert. I looked over to see that it was an email from Seventeen Magazine. I ran down the stairs screaming to my grandmother, crying with excitement that they wanted to do a feature with bloggers of different body types. I was the one they wanted to represent the 'pear' shaped girl. I literally couldn't believe it. Seventeen. They wanted me. I am nothing special, I am nothing out of the ordinary. I'm just a 20 year old girl from a small town in Ohio, who's just trying to do what she loves and be happy. There's a million other girls in this country just like me, and I just couldn't believe for some reason they wanted someone like me. 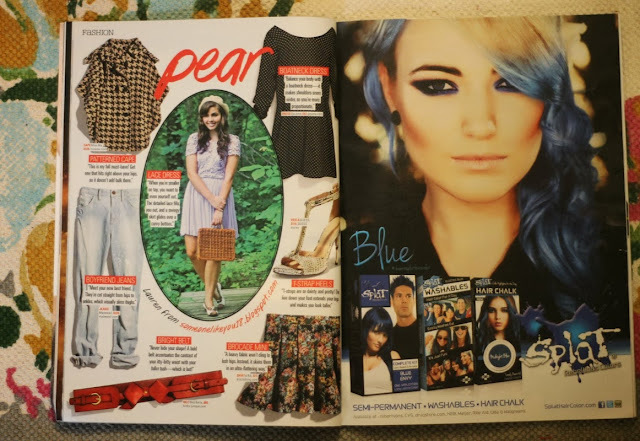 I got to do the whole feature with choosing a main photo that represents an outfit that flatters a pear shape and also pick 6 items that pear shapes look good in with why. I remember being so nervous when the person who contacted me had to show it to their boss; ANN SHOKET. The editor and chief of Seventeen was going to look at my face?!? She loved it though and I had to wait patiently until the November issue came out for October. I was so scared that the same thing would happen that did with the other magazine. That I would have my dreams right there and then when I opened up the magazine, I wouldn't be in it. That it would be all for nothing and I would always think I had been thisclose to my dreams, but failed. My mom texted me on Tuesday to tell me it was out. I knew it was coming out mid-october, but didn't know the exact date. I walked half a mile off campus to get it at Acme and I opened it up and...there I was. Being in this magazine isn't for me. It's for all of those people out there who don't think there dreams will ever come true. Who don't feel good enough, worth enough, or strong enough. If I, I honestly believe this, thee most ordinary person can do this---than anyone can. I always scoffed at those celebrities who would be like, 'It happened to me it can happen to you, too!' But I 100% believe them now. It may have taken me seven years, four years of blogging, being ridiculed, struggling with self-esteem, and feeling like giving up...but I got there. Whatever you want to do is possible and this is a living testament of that. This is also for all of the girls out there who worry about their weight. Their figure. Their hips and thighs and butts and feel like they're fat. I am so incredibly proud to be representing the most common body type; the 'pear' shape. On America's Next Top Model a few weeks ago they had a photo shoot where they were shooting with flaws like moles, gaps in teeth, ect... And one of them was big hips. My hips are not a flaw!! God created me this way and He created every single girl out there the way you are supposed to be, no matter what your body type is. I'm just so grateful I was given the chance to be someone who girls can look at and see I'm not perfect...and that makes them not perfect and that's OKAY. I didn't mean for this to come off like a speech. Or 'all about me.' Or whatever. I just wanted to write everything I was thinking. Everything I was feeling. I know that God gave me this opportunity for a reason. I want to use it to glorify him, not myself. I know that He has this perfect and beautiful plan for me...what EXACTLY it is, I don't know. But I do know that it is something and I have faith that He will lead me where I am supposed to be. Things happen for a reason. The first magazine didn't work out, but God put an even greater and more special blessing in my life. He did that for a reason. I am so thankful and in awe of this life...of the support and encouragement you all give me. I want to say it again and again and again but you all would just get irritated. But I am nothing without all of you. You are the reason this is possible. You are the reason my dream came true. I am so appreciative of everything you all have done the past four years I have been blogging and if there's ever anything I can do for you, let me know. I am beyond lucky to have you phenomenal girls and guys read my blog. I am forever undeserving, but forever appreciative. With (very) much love, Lauren. Labels: Catching My Eye., fall, Inspiration., Misc. wow congrats! that is exciting stuff! Wow, I LOVE this post! 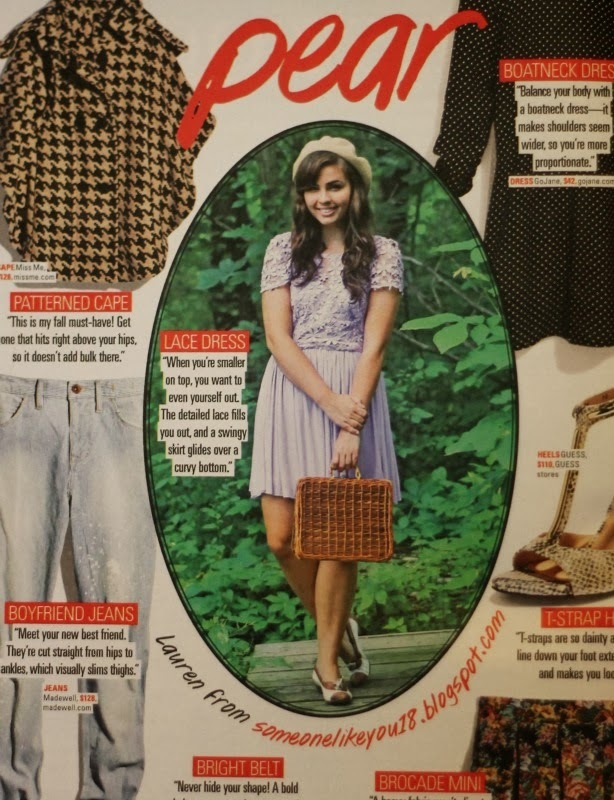 Congratulations on being featured in Seventeen- that's seriously a huge deal! Woo! When I saw you were in Seventeen I was so excited for you! You're awesome and I think the feature looks great! You go girl! Congrats, that's just amazing :) So happy for you!! I am so pleased for you :) you look gorgeous in that picture and it's definitely inspirational - as someone who's always suffered from insecurity it's so nice to know there are beautiful girls out there who feel the same. Congratulations :) and please keep in touch! Congratulations for appearing on seventeen! I can really relate to your life story, I am also a pear-shaped girl who was boyish and really insecure growing up. And fashion actually helped improved my self-esteem a lot, and people´s perception´s about myself as well. It has always been an important tool that can help me feel a little better with myself. Congratulations!! This is so exciting, I'm so happy for you. 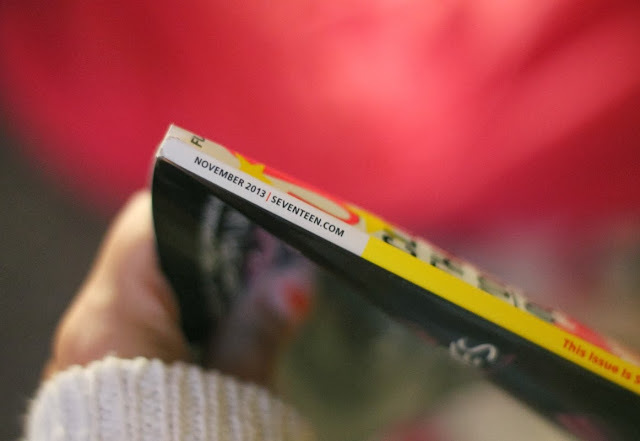 Seventeen was like my bible too growing up! How exciting! 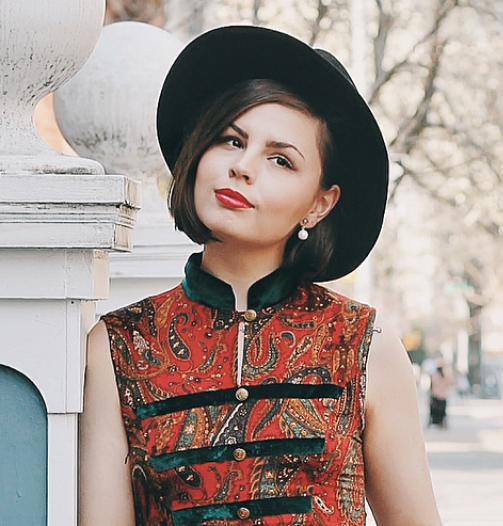 I love your style and your blog. I know what you mean about feeling insecure about yourself. I, too, felt terrible in middle and high school. I wasn't pretty, I was too thin, my legs were to long, etc. But, God created me the way I am for a purpose. And every day I have to look in the mirror and say, God made you beautiful just the way you are and you don't need to change anything'. Thanks so much for writing this post. It was really encouraging. wow congratulations, this must feel huge!! Awww Lauren!!! I was at school earlier this week in the library and I picked up the latest issue of Seventeen and I saw you in it and I squealed really loud and everyone in the library gave me a dirty look, haha. I AM SO PROUD OF YOU. <3 You are such a beautiful human being and you deserved to be featured!